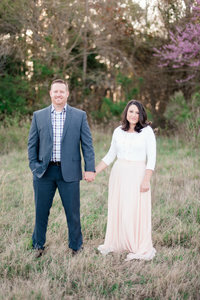 I cannot believe that it is already that time to blog this wedding. I remember us getting the phone call asking us to shoot Courtney & Jason’s wedding. It seems so long ago and yet here we are a week after their wedding! These two decided to have a small ceremony on the beaches of Jamaica. Royalton White Sands Resort was the perfect spot for them! Surrounded by 30 of their close friends & family Courtney & Jason promised each other their hearts forever and always. he most sweetest things that took place was when Jason said that not only did he take Courtney as his wife but he took her little girl as his own. One of the things about Jamaica at this time of year is the rain storms. It rained almost everyday while we were there. However, these storms are not long and when they pass it is back to blue skies and warm breezes. The day of the wedding it rained. The wonderful thing about it though was that it rained after their ceremony. They were able to have their ceremony right on the pier overlooking the beautiful blue ocean and gorgeous blue skies. The view was absolutely serene. While there I could not get enough of the beautiful palm trees, white sands, and gorgeous beaches. The people there were absolutely wonderful! This wedding was such an adventure!! Thank-You Jason & Courtney for trusting us to capture your gorgeous destination wedding in Jamaica!! We had such a blast working with you and your loved ones!! We wish you a lifetime of love and happiness!! Enjoy some of our favorites!! And here comes the rain!!! AMAZING you guys!! Love all of them. What a fun time! Awe!!! Thank-You Cinnamon! We had such a great time!